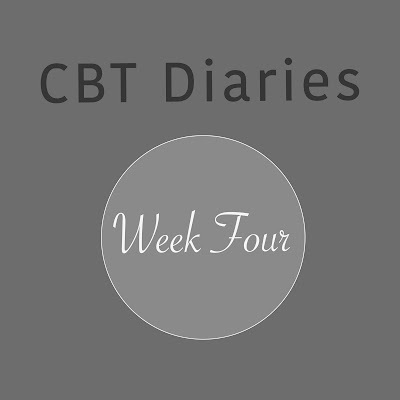 I felt so, so tired this week that for the first time since I started my group CBT course I contemplated not attending this morning. Almost as soon as the thought came into my mind I knew, from what I have learnt over the past few weeks, that I just needed to push myself to get on with it and not let any negative thinking take over. So I got up and out of bed and into the shower. That was the hardest part over and by the time I got dressed and put my make up on I felt ready to go and I was again looking forward to what this weeks session had in store for me. The topic for exploration this week was depression and, similarly to how we explored anxiety in week 2, we had to talk about how depression makes us feel both physically and emotionally. I have to admit that I was quite surprised by how I sensed myself finding depression more harder to express and talk about opposed to anxiety. It also instantly made me feel really sad inside just thinking about how depression can make me feel and the impact that it can have on my life and my self esteem. Depression is so much more than feeling sad or down in the dumps and it's not a word that I think should be thrown around so freely as a way of describing a low mood. There's no denying that depression can affect people in different ways, and in varying forms of severity, but there are also a lot of common symptoms experienced by most sufferers. For me depression encompasses so much more than just feeling down in myself. It comes with a terrible feeling of doom or dread which has me feeling inside like i've just been told someone close to me is going to die (but in reality that couldn't be any further from the truth and on paper things are in fact quite good). Depression completely takes away any interest I may have had for anything which I previously enjoyed in life. It leaves me feeling completely alone, lifeless and like I'm in a very deep dark hole from which I can't escape. Depression is waking up every morning in tears because you hate yourself. It's not being able to function properly, carry out normal day to day activities or go work. It makes it completely impossible to find the positives in anything. And that's just the emotional side of it. When i've been very depressed in the past i've felt exhausted from doing nothing, sluggish, slow in movement and i've even experienced aches and pains. The physical symptoms of emotional illness still to this day completely surprise me. People will often say things like 'you will know when you fall in love' and until you do fall in love for the very first time you realise that everything you felt prior to that wasn't really love. It's the same with depression. You may feel as though you have suffered from depression in the past but trust me - if you're not sure if you have then the likelihood is that you haven't. Once you experience clinical depression you really know about it. We also talked about how closely depression and anxiety are linked to each other. It's very likely that if you experience anxiety problems you will also experience depression and vice versa. I find this most noticeable in myself when my anxiety prevents me from being able to live my life how i'd like to. I then can become quite quickly depressed because of how anxiety holds me back so much from the things I enjoy. If depression makes you become quite reclusive and antisocial it's likely you will experience anxiety around putting yourself back into situations which you used to feel ok with. Depression can also eat away at your self esteem meaning that you suddenly find yourself very anxious about the doing the things you were once confident about. I really feel for anyone who has experienced both depression and anxiety at the same time because there is nothing more horrendous. It has you staying indoors but then panicking about losing all your friends. It has you turning down invitations to go out and then worrying when the invites stop coming. It successfully manages to have you fearing being alone but it also makes you isolate yourself out of fear. It's wanting to sleep all day but being awake all night. It's being tired from not doing anything but then feeling too anxious to do something. You are forever battling a war with yourself. I definitely felt more inside myself during this session as I reflected about what depression has done to me throughout my different experiences of it. I think if i'm honest I have probably suffered with mild depression since my teens but I never really knew it or understood it and instead I think I just assumed it was part of my personality. I didn't for one minute think I was depressed. I still today remember the day and the exact moment my GP diagnosed me with depression (with anxiety) and I was in complete and utter disbelief about it. I think for a long time my anxiety problems masked what was happening underneath but once I managed to get my anxiety under control I was left feeling very depressed. I think my depression diagnosis has been the more difficult to deal with because there is absolutely no reason for me to be or feel depressed. I can honestly say that I have everything i've ever wanted in my life, and more. I am exactly where I want to be in life, happily married living in a nice home surrounded by pets and love. I've lived my life to the full and i've always made the best of things. It's therefore been very difficult for both myself and others to understand why I would be depressed. Sometimes I wish I had been through some kind of life trauma so people would at least offer me some kind of sympathy opposed to thinking 'what has she got to be depressed about'. Ultimately depression is an illness which can often be a reaction to stress, a horrible life event, or you can suffer with it because it's a chemical imbalance in the brain and just like any other physical illness you could be diagnosed with. It can also happen to anyone whether you are disadvantaged in life, going through a life crisis or if you're a celebrity with all the wealth and perceived happiness in the world. We only have to look back at the awful suicide of Robin Williams to recognise that it doesn't matter what you have in life or who you are - depression can affect anyone and everyone! After discussing what depression is and how it makes us feel we moved on to explore how we can try to improve things for ourself. When I have experienced depression it generally always starts with me feeling noticeably lower and less active than I have been before. I also tend to become more introverted and I get very teary about the smallest things. I generally feel very downward about everything. The first steps that I take to seek help is by talking to those around me which is generally my husband or my Mum. Following this I take myself off to see my GP to seek more professional help. The last time this happened to me my Doctor told me that the only way to start to feel better again would be to start on some new medication, which is exactly what I didn't want to hear. After having successfully weened myself off a different medication 6 months earlier the last thing I wanted was to go back on the meds. But I had to accept that I had sunk so low that there was no way I was going to get myself out of the hole I was in without the help of medication. And the Doctors were right. As soon as I started taking the medication it was the turning point of getting better. I spent about two weeks feeling terrible and suffering some side effects and I then felt myself getting better and better every day which was a huge relief. The next step was to get referred for some therapy. 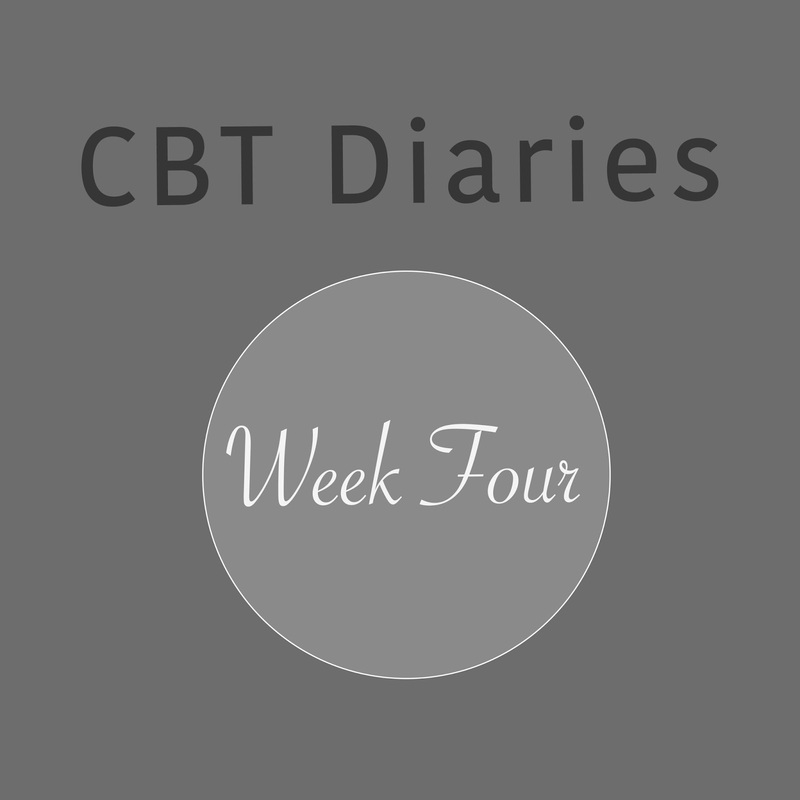 As mentioned in earlier posts the only help the NHS can currently offer anyone with clinical depression and / or anxiety is CBT. I have had to wait months for the therapy to begin but looking back now to how unwell I was I know that there would have been no way that I could have sat through any therapy how I was feeling. I genuinely believe now that it was the best thing for me to start the medication, feel a bit better in myself and then start the therapy. The therapist talked with us about what we can do ourselves to help lift our mood and the depression because after all there is only so much the meds can do and a lot of the work has to come from within. I would say that this is probably the most difficult part of recovery because naturally when you are depressed you don't really feel like doing anything and you are also blinded by the fact that you cannot see any positives. It is extremely difficult for any depressed person to do anything outside of their comfort zone, even if it's a really nice activity or something which they previously really enjoyed. We discussed as a group the importance of taking small steps to do little things which we should then reward ourselves for. For example, if you plan to push yourself to go out shopping or to see a friend when you're feeling depressed you should plan something nice and comforting for afterwards like enjoying a bar of chocolate or maybe curling up on your sofa with a nice film. Its also very important to recognise when you have done something and tell yourself "well done" which a lot of depressed people often fail to do because they are so focused on what they used to be able to do and achieve. The reality is if you're unwell you're not going to be able to do everything that you used to, so it really is about taking small steps to rebuild your confidence and lift your mood. Apologies that this is quite a lengthy post but depression is such a huge topic it can be very difficult to make it short and concise. But I hope this has helped in some way to understand how CBT works in helping people try and overcome the illness and steps you have to take to getting yourself well again. My therapist is breaking for Easter over the next two weeks so my final and 5th session will be in 3 weeks time and I shall therefore conclude these diary entries in April following that meet.